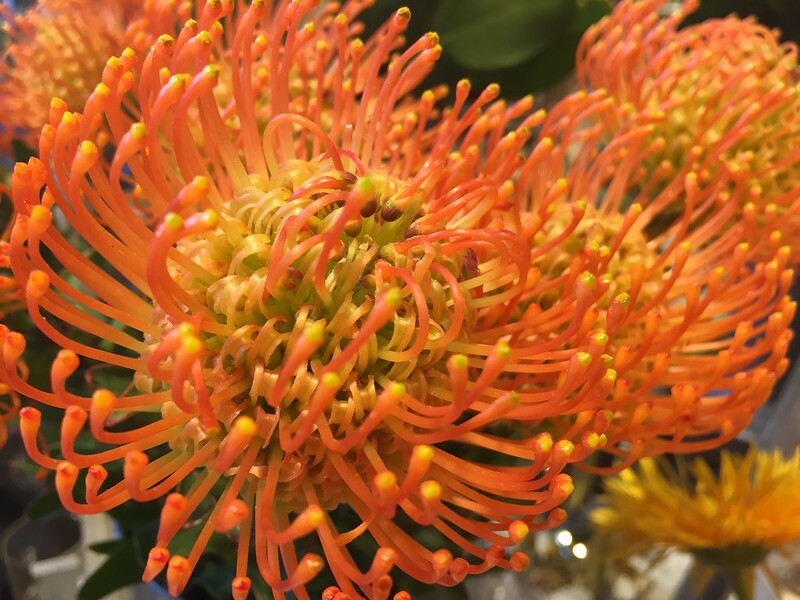 That is what the label said in the store, but I think they are also known as Pincushion Protea, or perhaps son of Triffid. They know me with the camera in the flower department, so I can stick my nose into the flower before taking the picture. Yes, I know them as pincushion proteas. Beautiful capture. Maybe it just ate Triffid.